I’ve seen many junior and even senior developers struggling with figuring where an issue is located in their network topology. Developers need to know how to troubleshoot networking related issues, not necessarily fix them, but most definitely help figure out where they are. This post will cover the basic tooling and how to use them to figure out what and where a problem is. I am going to base all of the examples on the following very generic topology, which should resemble most setups, to some degree at least. A very generic network topology. First thing to note is, we are not getting back a response of any kind from the server. 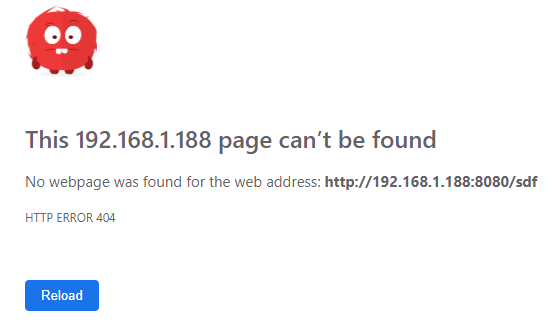 A response of any kind, means that the network is working, and the problem is either the webserver (IIS, Apache etc. ), in code or filesystem related. 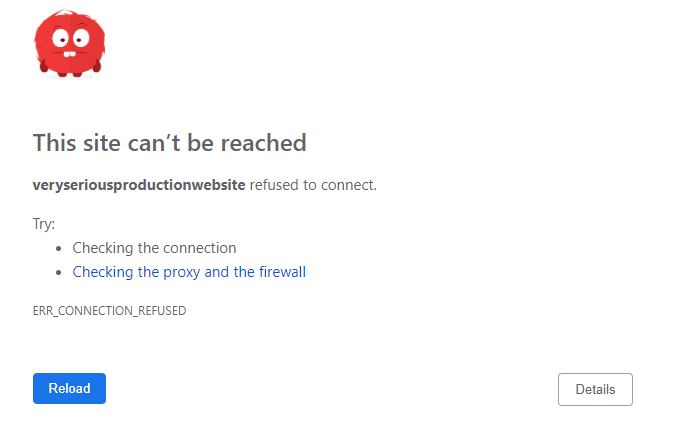 You try to connect to an RPC service on a server, but it does not respond. Either way, the problem could be the same. Ping is a utility that sends ICMP echo requests to a given IP address and returns with the time it took to reach that destination. ICMP is its own protocol and does not have a concept of a port. Thus, you are only testing if the server responds to ICMPs. Tests the entire chain, from client to server. Can be blocked in production firewalls. If it fails, we generally have no idea why or where. It could be failing from the client and outward. On a successful ping, we know that the client can reach the server over ICMP. If it fails, we really have no idea where or how. This is where you either start pinging from the client out / or server in — Or go try tracert. The natural next step from Ping. Traceroute also utilizes ICMP requests, but returns per hop response times, meaning this utility can show you the route your packets go through to reach the destination. This helps in figuring out any bottlenecks in routing, and also which endpoint the communication stops at. 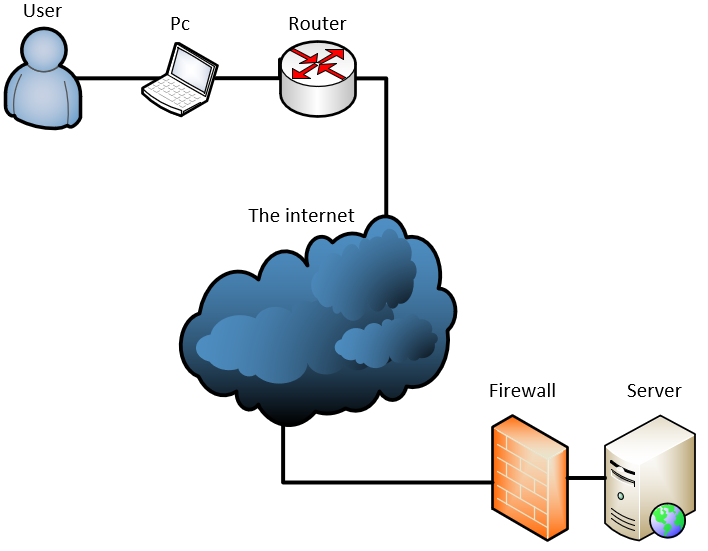 Example; the server’s local firewall is blocking all connections. When using tracert we can see that everything, but the server responds. troubleshooting can now continue on the server, as we know the network is fine. Tests the full chain, from client to server. Can see individual hit endpoints on the way to the destination. Still uses ICMP, which may be blocked by production firewalls/servers. We as developers can’t do much about routing issues, other than report them where appropriate. If output looks fine, and there are the “expected” amount of hops, we know that the client can reach the server over ICMP. Telnet is used to establish TCP/IP connections. In troubleshooting scenarios we can use it to test if a given port is open and accessible on a remote server. When you connect to a website, your browser establishes a TCP/IP connection on port 80/443 on that server. There is a similar powershell command you can run, which does the same thing and a ping if connection fails. If you get a blank screen or any output — Connection has been established. Can directly tell us, whether or port is open or not — Any port. If we already know that we can ping or DNS is correct, but we cannot connect on the port in question, we now know that the port is either closed on the server or blocked by a firewall. Nslookup or dig on linux, is used to check DNS records. Generally, the problem with DNS is the propagation times and TTL on records. Author AlexPosted on February 24, 2019 February 24, 2019 Categories UncategorizedLeave a comment on When the network is your problem (Developer Edition). Git has a “secret” hardcoded SHA1 for an empty tree, referenced in the source code as EMPTY_TREE_SHA1 which is technically the /dev/null tree. and quickly realised that the size of the Node-Jessie image is > 600mb. Which is just too bloody much for my 12 lines of expressjs. The problem with the alpine image is that it does not contain GIT (as you can see from the above quote), which is a requirement for NPM to work properly. So, the fast and easy way is to just add git to the dockerfile. You simply add RUN apk --no-cache add git to your Dockerfile and you are good to go. Doing this I ended up at an image size of 109mb down from 650mb, not bad. node:8.15-jessie to node:8.15-alpine as well.